The Association of Equipment Manufacturers (AEM) has recognized Savannah-based JCB for its contribution to the the American manufacturing industry. JCB was honored today with a “Pillar of the Industry” award by the Association of Equipment Manufacturers (AEM), reflecting the Savannah-based company’s work throughout the past year to improve the business environment for the equipment manufacturing industry. JCB was also praised for its efforts to advocate for pro-manufacturing solutions, and for its participation in AEM’s “I Make America” grassroots program. This year’s “I Make America” campaign – themed “Our Products. Our Jobs.” – brought a record number of elected officials to AEM member companies across the country. In addition, AEM members descended upon Washington in September for the first-ever I Make America Fly-In, where member company executives visited with 100 congressional offices and administration officials, to advance the industry’s policy priorities. AEM is a North American-based international trade group representing more than 900 companies and more than 200 product lines in the agriculture, construction, forestry, mining and utility sectors worldwide. JCB is the world’s largest privately-owned manufacturer of construction, agricultural and defense equipment. 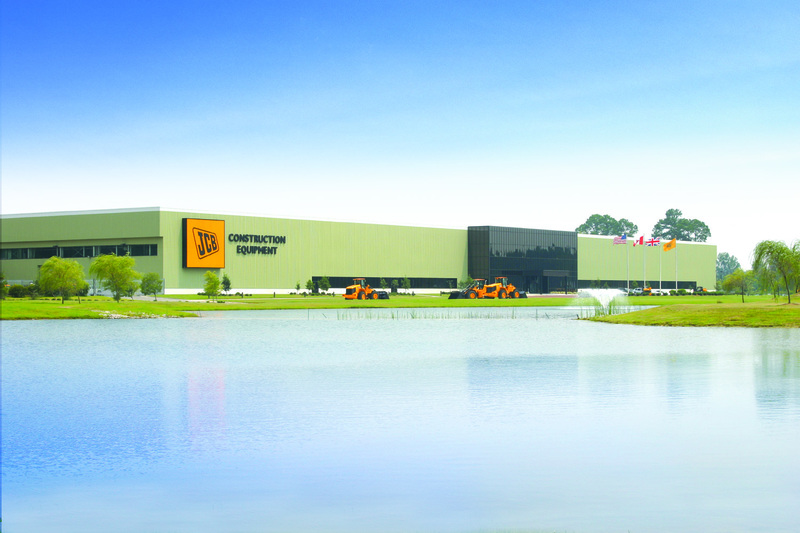 From its North American headquarters in Savannah, Georgia, and at 21 other manufacturing facilities in the United Kingdom, China, India and Brazil, JCB manufactures a range of more than 300 products for customers in 150 countries. JCB products include Loadall telescopic handlers, backhoe loaders, excavators, wheel loaders, compact excavators, skid steer loaders, compact track loaders, Access aerial work platforms, rough terrain forklifts, and Fastrac tractors. For more information, visit http://www.jcb.com. At its North American headquarters near Savannah, Georgia, JCB manufactures machines for construction, agricultural and defense customers in the United States and around the world.